Whether you are considering taking up photography or you have some mileage under your belt, it is hard to get enough of snapping those extraordinary shots and video clips. With so many cameras and lenses on the market today, it leaves a photo enthusiast with an endless array of toys to drool over. Even though much of the gear is well beyond your price range, obtaining quality photography equipment will often justify the purchase in spite of the cost. Depending on your needs, this may even be true when it comes to obscenely priced camera gear. Since indulging your passion is part of the photographic arts, here are a few pieces of photography gear that you might consider buying if you ever won the lottery. If you had a spare $45,000 to throw around, you know the Hasselblad H5D-200c DSLR would certainly make a nice addition to your camera collection. Of course, the price point is steep, but the performance is out of this world. With 50mp of resolution and a 43.8 x 32.9mm CMOS Sensor, this camera would redefine the whole experience of taking fabulous shots. Sporting an on-board 3.0 24-bit LCD display, images turn out with crisp, living detail. Additional features include a multi-shot capture mode, true focus and absolute position lock for picture perfect photos every time. Of course, it is just the camera you wish you could show up to that next extended family. While most people are sticking to color photos, some photography buffs are still intrigued by the beautiful black and white still pictures that are capable with the Leica M-Monochrom. Never mind the $7,000 price tag, this must-have camera is truly one of a kind and a perfect addition to any serious photography buff’s arsenal. 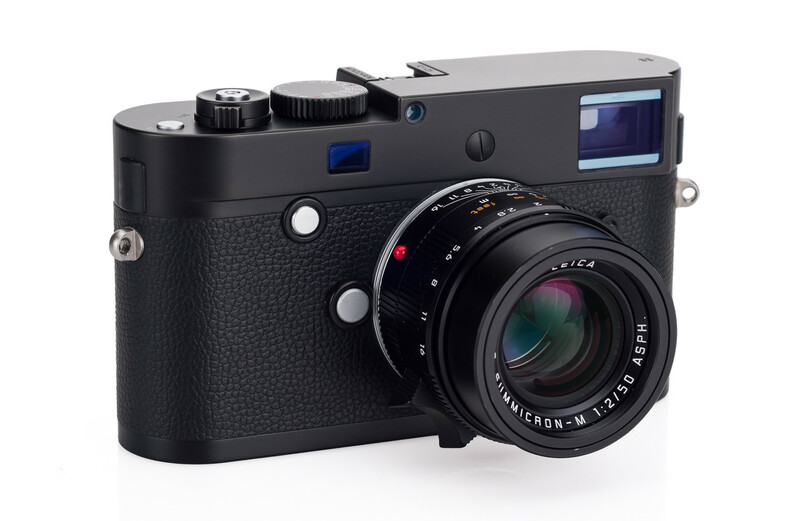 The Leica M-Monochrom comes with a 24mp sensor, and a 2gb buffer to enhance the experience of taking quick, successive black and white shots. When adjusted for ISO values near 25,000, the images render much like pictures taken by old analog cameras for a very authentic viewing experience. Of course, this camera is within reach, provided you have a little extra room on your credit card to indulge your passions. Though this lens may soon become a hard item to find, since production for this product ended in 2010, the Zeiss 0.7f lens is an incredibly fast lens for rapid shots. Designed for use in the NASA space program, for taking accurate shots of the dark side of the moon, this lens carries a hefty price of $23.1-million. 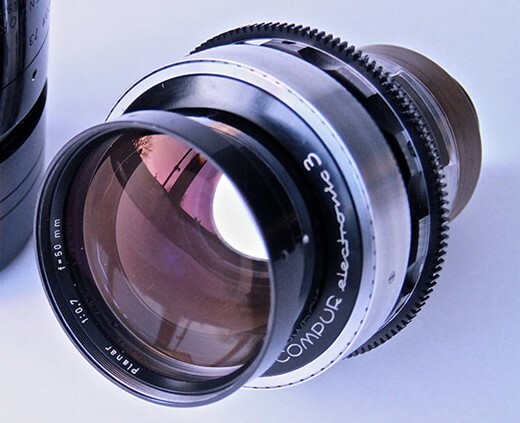 Purchasing one of these lenses might be possible if you are Stanley Kubrick, who used this Zeiss lens to shoot the famous candlelight scene in the film Barry Lyndon. Perhaps a more affordable option than the Zeiss 50mm 0.7f, pushing 36lbs of solid weight, the Canon 1200mm lens runs around $120,000 in the open marketplace. Due to the length of time it takes to grow the crystal used to build the lens, there are only two of these lenses manufactured annually. Since autofocus is a must, the Canon 1200mm lens has a built in ultrasonic motor to handle the task. Even if the price of this amazing lens is greater than the mortgage on the average house, it would still constitute a truly awesome addition to any extended camera lens collection. In an ideal world, overpriced camera gear would be in reach of anyone seeking to improve their chops with their photography obsession. From the best cameras to the fastest lenses, high end camera gear can provide a photography buff with a grip on what it means to produce brilliant pictures in style. While the price of many of these items leaves the masses dreaming of a day when they can get their chance to use such impressive gear, even people with low income will find that affordable photography gear is capable of taking some pretty awesome pictures at a fraction of the cost. But, if taking pictures is your life, knowing you have the cash to burn, you may not want to pass up some of these great finds.